There is one area I have sympathy for African telecom operations: multiple and excessive taxes and fees. Sure, I do know that customers do end up paying those fees and taxes since the operators transfer them into their pricing models. But that does not mean that it does not hurt the operators; some customers may drop the services if the fees are high which would not have arisen if the telcos did not increase prices to cover the fees and taxes. According to ATCON, a telecom industry association in Nigeria, operators are exposed to dozens of fees and taxes. Nigeria upped the game recently with 0.005% on electronic transaction bringing everyone in the party, from fintech to banks. Around the continent, it is the same story: telecommunication sector is the default industry to fund one (small) government idea or another, via fees or taxes. With millions of users in the networks, enact the fees, money flows in days into government purses. The Association of Telecommunications Companies of Nigeria (ATCON) hates that because it would make your phone calls and browsing more expensive since telcos would pass the costs to you. Banks, insurers and fintechs would also help to collect the new levies since anything electronic transaction would be levied the 0.005%. But what is happening in Kenya is taking this to the next level: 2% mobile money tax on transfers. A proposed tax increase on mobile money transfers in Kenya is drawing protests from several services, including M-Pesa. As part of a new tax proposal to raise government revenues, Kenya’s government is pushing to raise duties on mobile cash transfers by 2%. The government expects to net around $270 million in additional revenues and claims the extra income will fund a universal health care program to cover all households by 2022. I hope they do not do it. If they do, some of the gains via mobile money could be gone. That is exactly what Safaricom, the owner of MPESA, noted: ‘it will “negatively impact mobile-led transfer services and payments” and reverse the gains of financial inclusion by making it more expensive to conduct business transactions and make payments using mobile money services”. 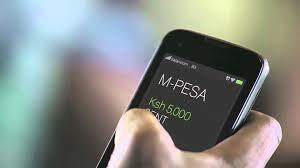 MPESA leads Kenya’s mobile money market. I do hope government understands the risks of making transfer very expensive for the citizens. Excessive mobile money tax will not help the poorer citizens; most would go unbanked!